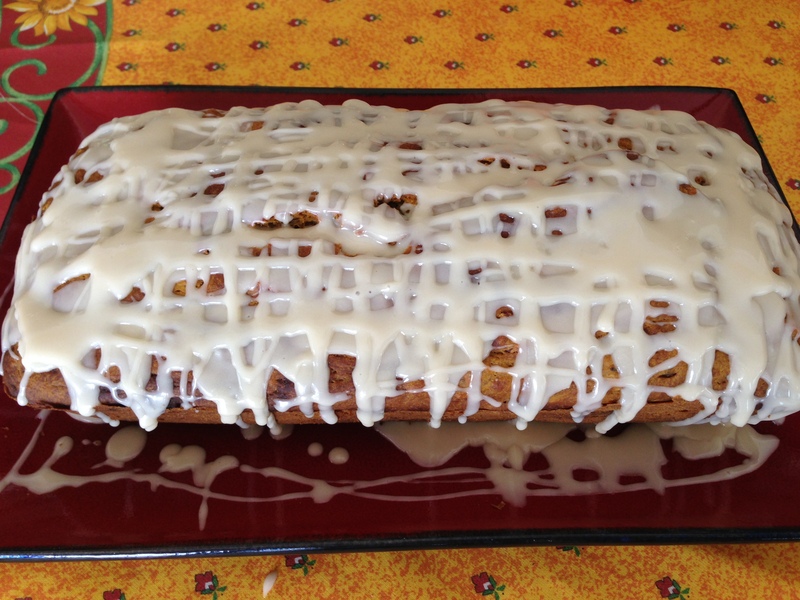 Scrumptious recipes including many family favorites! 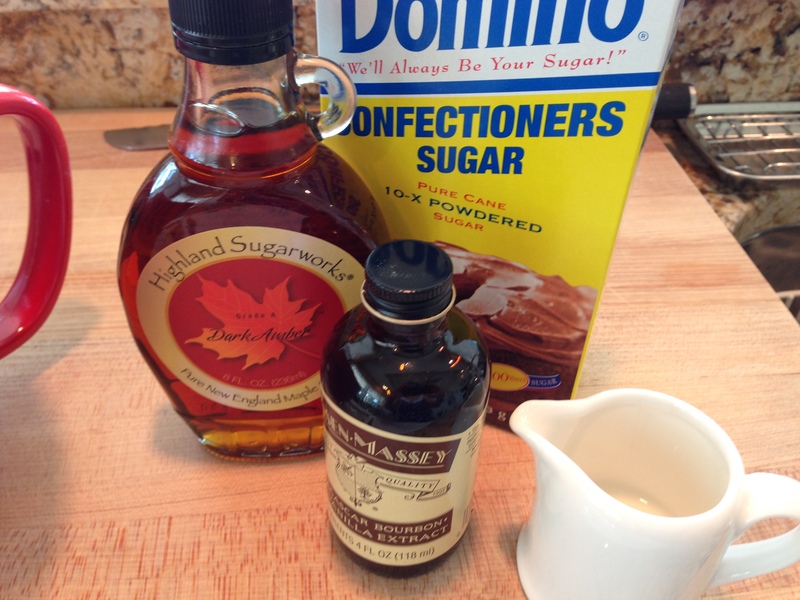 Time for some fall baking! 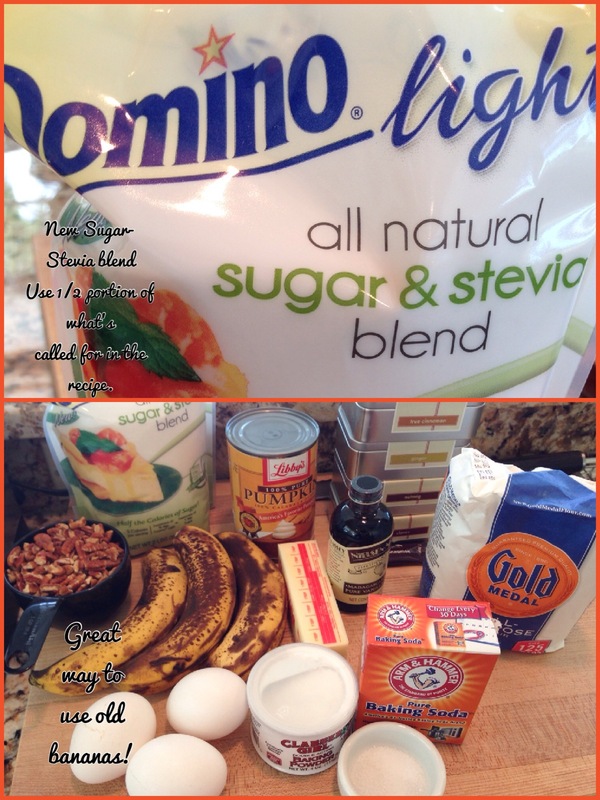 All these ingredients, I had around the house and I got the inspiration when I was going to throw out the very ripe bananas. Why not start off with this delicious fall classic! I also slimmed it down a bit with using a sugar/stevia blend that cuts the calories in half, but tastes just as good. This also freezes very well! Heat oven to 350 degrees. Grease 9 by 5 loaf pan with Pam for baking, and prepare a 6-set muffin pan lined with cupcake paper, set aside. For Loaf: Combine sugar, butter, vanilla, and eggs in large bowl. Beat at medium speed, scraping bowl often until mixture is creamy. Add pumpkin and smashed bananas; continue beating until well mixed (mixture will appear lumpy). Measure flour, baking soda, salt, baking powder, and spices into bowl. By spoonfuls, sift dry ingredients into another bowl to lighten and blend. 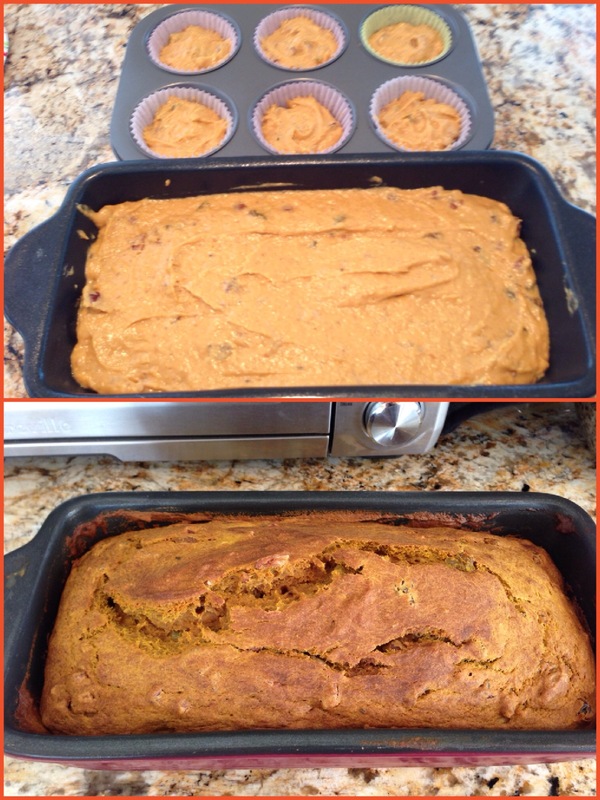 By spoonfuls again add dry ingredients into the pumpkin/banana mixture and beat at low speed just until moistened. Stir in raisins and nuts by hand until blended. Spread 2 T each into prepared muffin tins, add the remainder of the batter into the loaf pan, spread evenly. Bake the muffins approx. 30 minutes and the loaf approx. 50 minutes or until toothpick inserted in center comes out clean. 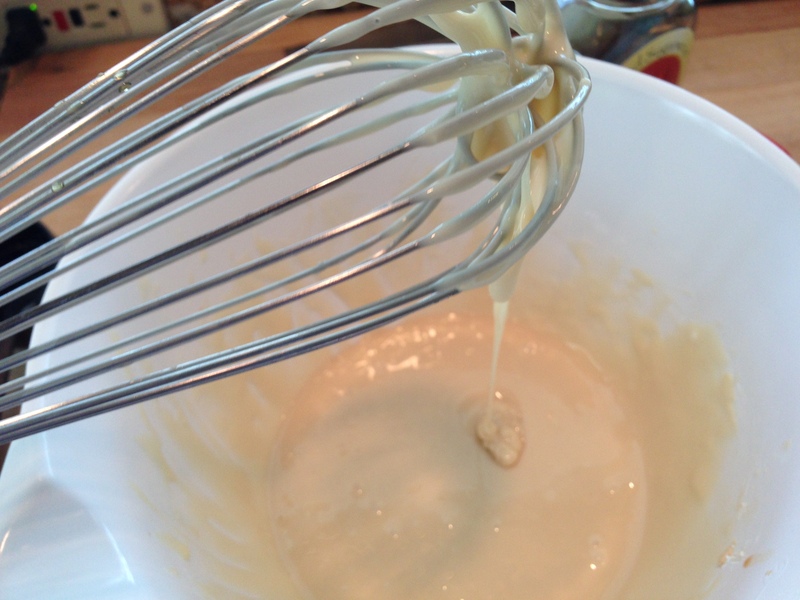 Drizzle: While loaf is baking, make the drizzle: Whisk sugar, maple syrup, vanilla and half & half in bowl. 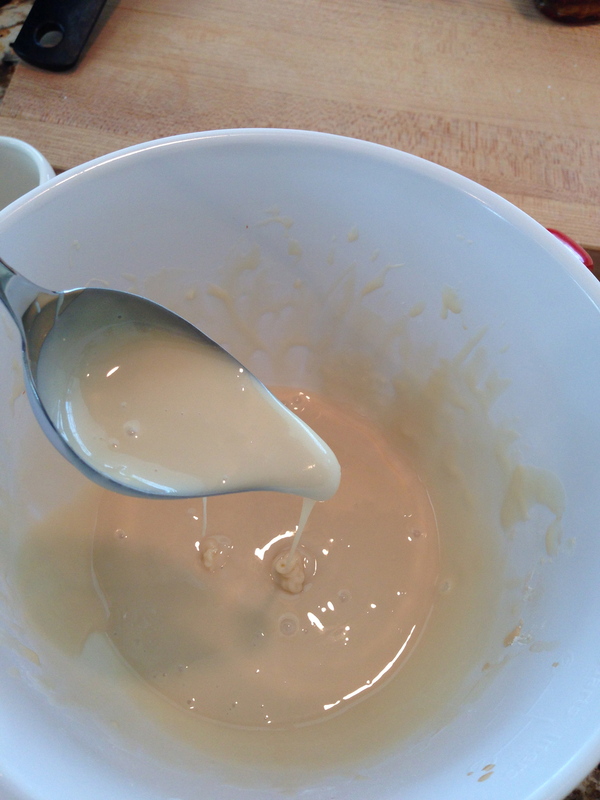 Add more half & half if needed to make a smooth, thickish glaze. Set aside. 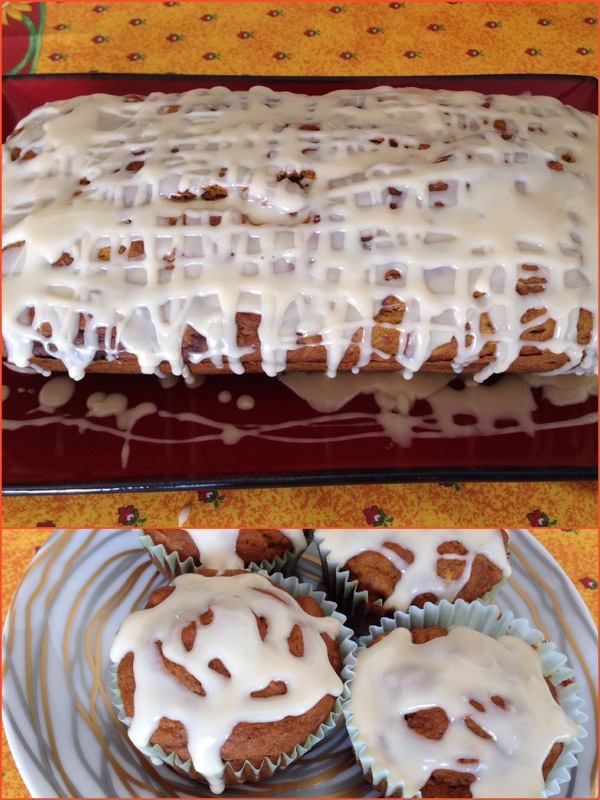 This entry was posted in Desserts and tagged drizzle, glaze, PUMPKIN, pumpkin banana bread, pumpkin banana raisin bread, pumpkin bread, vanilla, vanilla maple, vanilla maple drizzle. Bookmark the permalink. Thanks Mary! It was approved by my pickiest eater! Looks yummy, thanks. We need to get you on Chopped. One of my favorite shows. Thanks Ginny! I enjoy that show too! Hope you are doing great! 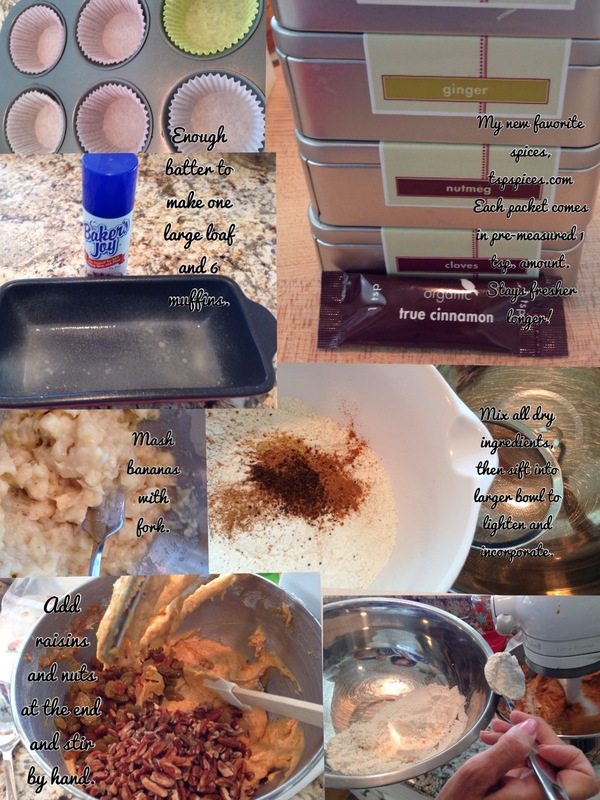 I hope you enjoy my Blog which includes family recipes and favorite foods: tested, tweaked, or created! Enter your email address to subscribe to this blog and receive notification of posts by email. For those of you who do not like the typical fruit cake!